Does your website follow today's SEO REQUIREMENTS? Is your business in need of a website, or do you have a website but you struggle with prominent placement in search results? beMORR Multimedia Design LLC provides professional website design and development services, including mobile website design, e-commerce solutions, and search engine optimization. 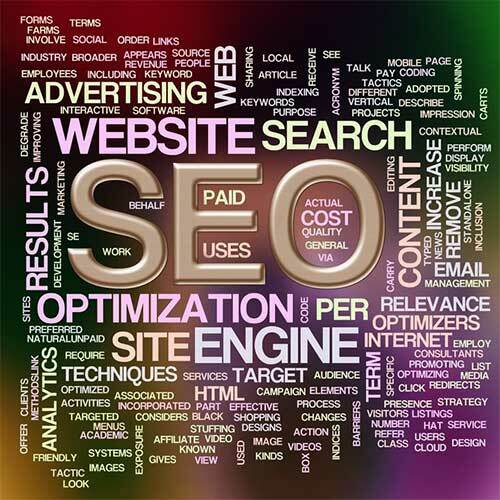 Our sites focus on Search Engine Optimization and are geared toward businesses in need of a content management system. beMORR Multimedia Design LLC understands the single most important function of your website is its' ability to be found on the web. Secondly, is its' ability to convert that online traffic to the sale of your products or services. What is a content management system? A content management system typically refers to a software application that supports creation and management of digital content on the web. This software, once established on a site allows the user the flexibility and control to make updates or revisions to their site without a knowledge of HTML. There are many CMS systems commonly used today; WordPress, Joomla, and Drupal to name a few. Many of the sites we build use the WordPress platform. In order for us to produce affective results for our clients, we must first become familiar their individual needs, who they are, who is their competition? We ask that our clients fill out a questionnaire that encompasses much of this information, (branding guidelines, company history, approximate page count, additional functionality ect.). The more we know about our clients, the better we work together. What is the purpose of my website and is the design accomplishing this? Does the website’s style align with the brand in terms of color, graphics, feel, etc.? Who is the target audience and how does the design take this into consideration? What should the audience do and is this design encouraging them to take that action? Wether starting from scratch or improving on an existing website, we will evaluate the information you provide and make suggestions on how to best achieve your goals. Once a final contract is agreed upon we can move forward with the project. On average a website can take between 4-10 weeks depending on the complexity of the project and the due diligence of the client. If you are ready to move forward with your new website or you would like us to conduct an audit of your existing site, contact us today! In the event we are updating an existing website, we will first begin with a complete website audit where we can share any issues the current site has and what the best way to proceed in bringing the site to today's SEO standards. From time to time we offer Free Website Evaluations, please contact us directly to determine if you are eligible. Website evaluations run $250 and are deducted from the price of a website package, if purchased. Are you having difficulty finding the time to update your site? We commonly hear from clients who have a invested in their website but don’t have the time it takes to keep it up to date. Keeping website content fresh is critical to search engine placement wether it's posting new services, adding blog posts or updating products, we can help. Other risks that stem from an outdated site is a security risk to the information that may be stored on your site. For instance WordPress sites that have outdated core files or plugins can create an avenue for hackers to capture sensitive information. This sensitive information may be a client list or user registration information, neither of which you would want to see in the wrong hands. All plans of our Website Management plans are priced at a reduced rate with a monthly commitment. These plans have a set number of hours that can be used in a 30 day period and can be rolled over for another 30 day cycle. These plans can either be incorporated into a web hosting package, or as maintenance alone. Perhaps your business has special requirements, contact us, we can help develop a plan to suits your needs.